First it hit ZTE, and now Huawei is again being threatened by adversity from the US authorities. There is even a threat that American companies may boycott cooperating with the Chinese manufacturer. This would also affect Google, so is this the end for Android on their devices? Huawei is already thinking about a solution, such as using their own operating system as an Android alternative. The smartphone world in China looks the same as it does everywhere else. Android and iOS share 99.9% of the market, and there are no other platforms. But if the US government takes the matter seriously and continues to take action against Chinese companies such as ZTE and Huawei, things could change soon. I understand that Huawei is seriously looking into having its own operating system as an emergency option if they’re unable to continue relying on Google’s Android system. It is no longer the case that Huawei would have to start all over again with its own operating system. 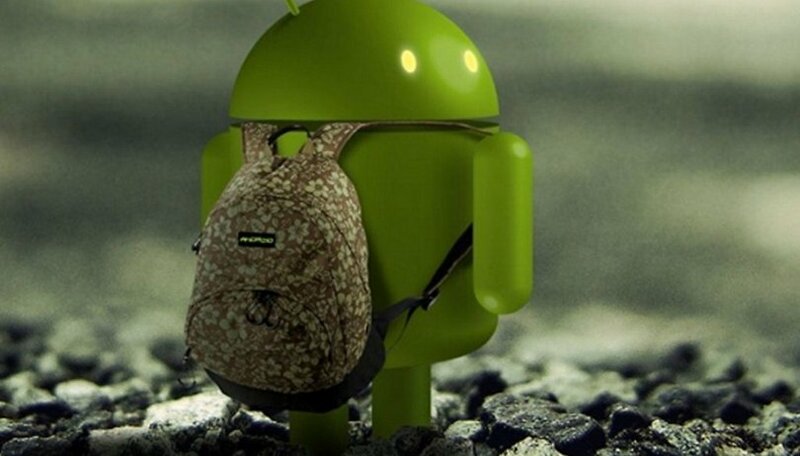 The Chinese company already started working on an alternative to Android in 2012. These plans come from the company founder Ren Zhengfei. Two years ago, Huawei was discussing an operating system called ‘KirinOS’, and since then there have been no rumors about it. These considerations are now reappearing, at least to the same extent they were before. Huawei has already gotten the process started with their hardware. Huawei has been manufacturing its own processors for their top models for years, and has done so very successfully. The Kirin 970 set the bar high for the competition with its AI unit. Huawei also produces its own wireless modules, and are very competitive in this realm as well. A farewell to Google would certainly offer Huawei some opportunities. They would no longer be subject to Google’s constraints and would have license to act more freely. It takes time to build your own ecosystem of digital content such as music, movies, or games, and it also takes a lot of money. Anyone who tries it will soon realize: a world without Google would be fine, there are alternatives for everything. Last but not least, Apple has already proven that it’s a unique selling point for a manufacturer to have an operating system of their own. There would be a great amount of risk involved for Huawei to take such a big leap. All suppliers, software companies, accessory manufacturers and other industries are completely aligned to the duopoly that Android and iOS have created. Even if Huawei were to offer a solution that would make Android apps compatible, the solution would have to be as simple and intuitive as it is with Android devices. This would be a difficult feat, since Google has no interest in supporting new competitors to use their own services. Microsoft already experienced this with the Windows phone. With any new platform, everyone involved would have to take a very close look and think three times before betting on a competitor with such uncertain chances of success. Huawei’s new system, which may or not be called KirinOS, would have to be really excellent, and obviously it isn’t yet. Ren Zhengfei won’t accept an incomplete solution, and as we’ve heard from industry circles, the development still isn’t complete. A third platform would be very good for the entire market. Let’s face it: of course Huawei won’t be able to separate itself from Android at a moment’s notice. They currently have no reason to go this route and don’t have a ready-made alternative. But Huawei shouldn’t completely ignore the possibility, since their dependence on a single partner for such an important part of their own business can be potentially dangerous. Alternatives are always available for each individual component on the hardware of a smartphone. Huawei has the size, connections and the market power to make sure that this can happen with the software at some point. This would benefit the whole industry (even Google) in the end. Then the tech giant, which has gotten so comfortable in first place, would have to step up its game. What do you think: does a third operating system stand a chance in the smartphone market? Well, if they do, you can bet it won't work with the Google app store, which means who's going to use it, save for the Chinese? Giant Microsoft (among punier others) tried, and failed, to build a commercially viable smartphone platform. All this hype of other OSs, for now, is vapor talk to build negotiating capital with US regulators, hoping to resolve the bans. Failing a deal, over time, a billion Chinese and even more developing market end users could move away from US operating systems and corporations, but that's the threat Huawei, ZTE, etc. are trying to sell. I will never buy a Huawei. But good luck to them! Nothing can replace android. And if that OS is from China nobody will trust. There are already to many IOS, Android, Tizen and Sail Fish which I have not heard much about lately. I think a fifth is way to much, plus I would trust a Chinese based OS way less than the rest. Not that I trust them either with their track records. Whee, another tizen to clutter things and flop. Huawei is not positioned to get the penetration necessary to succeed.